Here is a brief excerpt from Sister Eliza Moore. God is so mindful of us. He knows where we are, what we are doing, and how we feel. He knows US. I have seen so many times where we are in the right place at the right time because something else didn’t go right. This week we were at CVS trying to print some fliers for our ward’s 4th of July party. It wasn’t working and we were getting frustrated. A lady came up and started talking to us and we were able to teach her about families and invited her to the VC. If the fliers had printed the first time we wouldn’t have been there to talk to that lady. Of course it worked as soon as the lady walked away. Then when we were delivering an invitation to an investigator a recent convert walked by. We found out they were neighbors! If the fliers had worked the first time we wouldn’t have been there when Rose walked by and wouldn’t have made that connection. God works in mysterious ways! 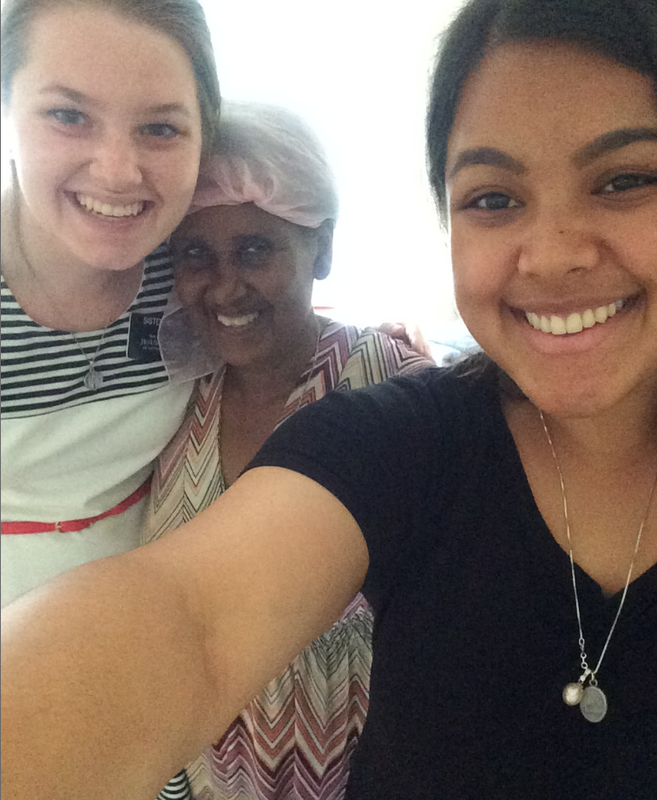 Sister Moore and her companion with Agie, a recent convert from Ethiopia.